When most people are ready to buy a used car, they usually purchase their vehicle within two weeks from the time they realize the need. This is a very short amount of time for such a large decision, perhaps the second largest purchase of their lives, and such snap decisions COST people thousands of dollars every year. 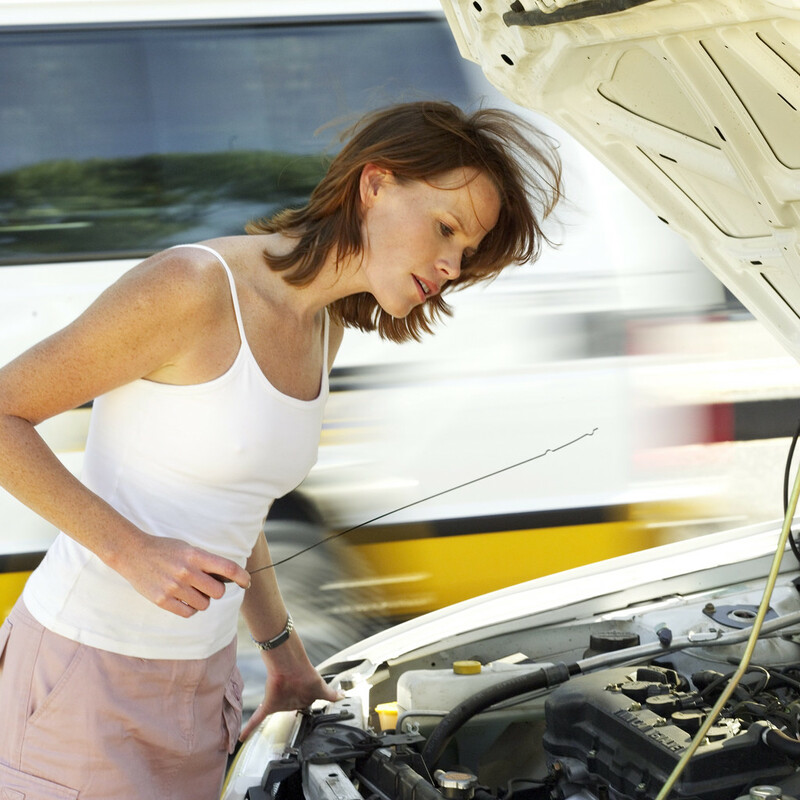 What you DO know about how to inspect a vehicle and how to look for mechanical problems will be relied upon heavily during a somewhat stressful time, when a decision needs to be made quickly and has immediate results... whatever they may be. We show what you need to look at when inspecting your next used car. Bringing together our knowledge of over 25 years of combined experience in the automotive sales, purchasing, mechanical and collision repair industry, the tools we have created will help you to confidently and successfully buy a used car even if you know nothing about cars or really how they work. The end result is a DVD that informs you of what you really need to know when inspecting a vehicle and guides you in how to do it effectively, efficiently and easily. You can simply retain as much as you are willing to learn. Taking about driving, in our step by step DIY videos, we will go into detail about what you want to see when the hood is up and when you are ready, how to take a “proper” test drive, so that you will even know what sounds to be listening for while driving. 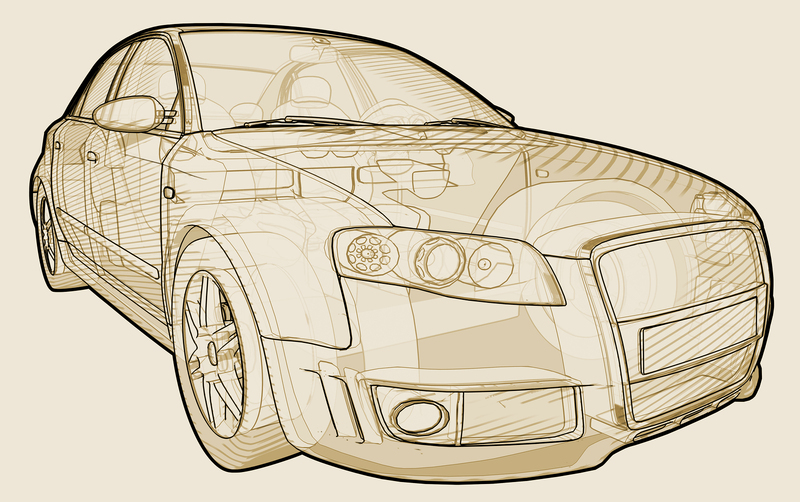 We will show you what to look at in and around the Engine, Suspension, Brakes, Transmission, Exhaust, as well how to spot any tell-tale signs in the exterior paint for previous accident damage or the interior for not-so obvious, but relevant damage. The list goes on, which reminds me, with every Auto Buyer's Package bought below, we also GIVE you a “Vehicle Inspection Checklist” to print and take with you when you go look at the next used car for sale, along with a Vehicle Rating System, which rates the car as a whole, along with the information collected while doing your inspection. When you are at the vehicle for sale, using the Vehicle Crash Tester will help you determine if the vehicle has been in any previous accidents that are serious enough for you to possibly be concerned about. With the Vehicle Crash Tester in hand and the Vehicle Check List / Rating System completed, you will have many powerful tools at your disposal to know if the vehicle is worth buying and if so, the knowledge to determine on what issues you can negotiate the price on! You get ALL the Instantly Downloadable videos on "How to Buy a Used Car Without Getting Ripped Off!" 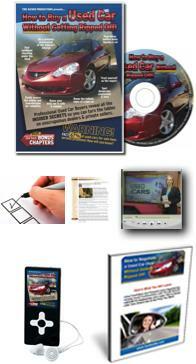 You get all the videos in the Auto Buyer’s Package and the Vehicle Crash Tester mailed to you. 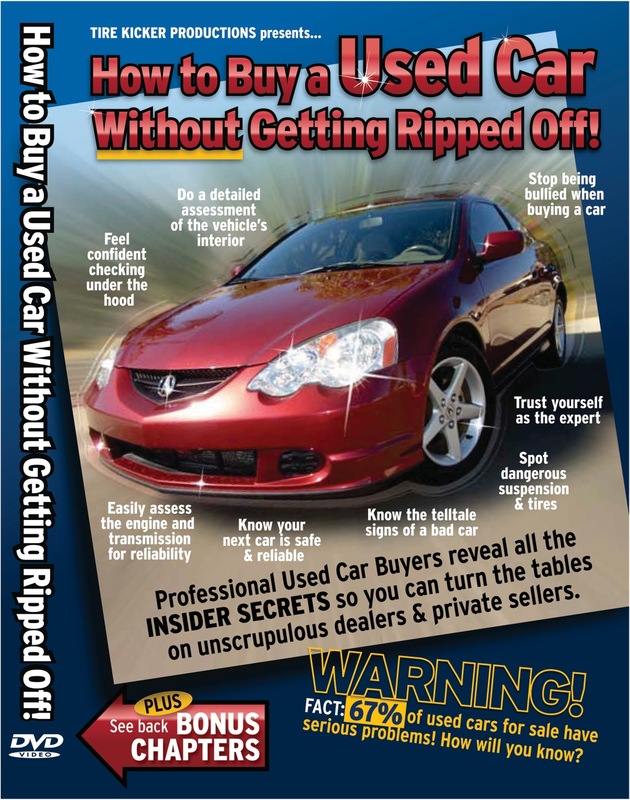 You get the Auto Buyer's Assurance Package, plus our fully featured DVD "How to Buy a Used Car Without Getting Ripped Off!" mailed out to you. You also get our Used Car Buying eBook - "How to Negotiate a Used Car Deal"
This DVD will save you a lot of money and many headaches by helping you avoid costly repairs before you buy the car. 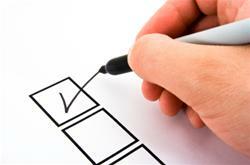 All of these tests are simple, easy to understand and no tools are required to do them. 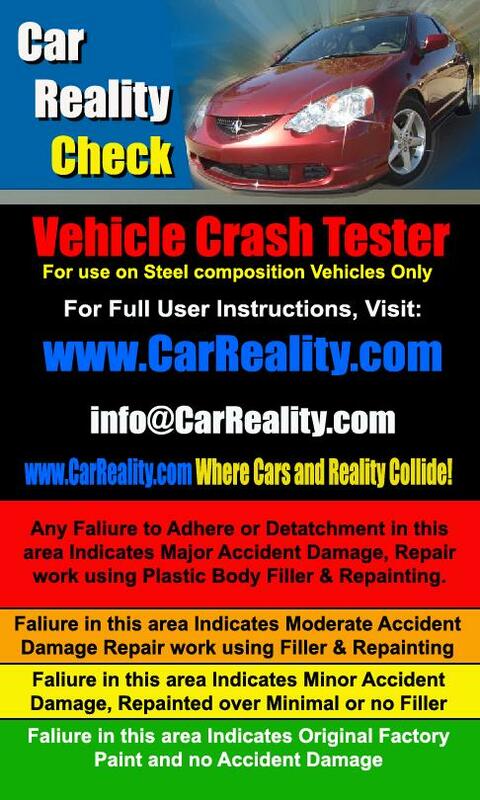 Do a Car Reality Check with the Vehicle Crash Tester ! It is your personal assistant in helping you avoid buying a previously wrecked or rebuilt vehicle that is unsafe. Most people are afraid of Negotiating because they just don’t know how & therefore are not effective! We unravel the mystery by giving you simple tools to help you get the very Best Deal, whether buying from a Dealership or Private Owner. The Vehicle Checklist & Rating System are simple & concise ways to assess the overall condition of the car, giving you a Complete Record of every car you look at; a necessity to have when Negotiating Price.